Once we have designed your initial prototype you need to think about the next step in the production process: creating a pre-production prototype. Initial prototypes are typically created using CNC machines and/or 3D printers. They are simpler, cheaper, and faster to produce. The most difficult part of initial prototype production is getting the design (CAD) correct. Generally speaking, initial prototypes are made from ABS plastic (something other than the final production material). 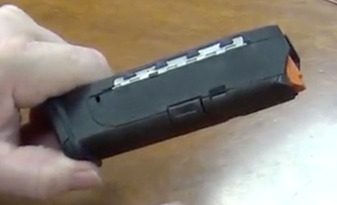 Pre-production prototypes are typically created using injection mold machines. This requires the designer to use the CAD design to create an injection mold tool that will be used to generate roughly 300-1000 parts. Creating the mold tool is the primary expense in this process (and it can be a significant one). Typically the pre-production prototypes are made from the same plastic as a final manufactured product so as to allow for realistic testing and/or research on the product as it will actually be when mass produced (prior to investing the money required for mass production). First, although aluminum is sometimes begrudged for its perceived lack of strength, the truth is that a good aluminum tool is very robust. Typical pre-production prototype cycles only require several hundred to a thousand total replicas. An aluminum tool will last well beyond that requirement and in many cases could be used to produce several orders of magnitude more units in the event that even more in depth testing was required prior to mass manufacturing. Second, aluminum tools are much better suited to adjustments after the fact if the injection molding process reveals required changes. Adjustments may need to be made because of a design oversight, because the tool itself produces an injection molding defect (such as uneven flow), or because product testing or consumer research reveals some type of shortcoming that needs to be fixed. In most of these cases the tool (or part of the tool) can be redesigned and the pre-production injection mold cycle run again until successful. The typical aluminum mold tool is much simpler to CNC machine if tweaks are required than are steel tools although some alloys (particularly the 7000 series) compare well against steel with regard to hardness. Note, there is a new technology coming out called Plastic Injection Mold Tool (PIMT). Plastic is much cheaper than aluminum and much much cheaper than steel. The only problem is that it tends to degrade after a relatively short number of cycles in an injection molding machine. A this point in time PIMT is definitely not a suitable replacement for aluminum tools and pre-production prototypes. For more on PIMT you can read here. For more tips on prototype production and making your idea into a reality, visit our website or give us a call at 215-788-4566.